Latest Industry News - Big discounts on Classic 50 music stands – June only! 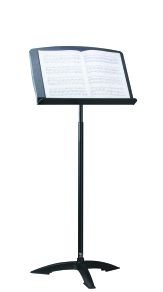 Big discounts on Classic 50 music stands – June only! For June only, Black Cat Music is offering a massive 15% discount on their best selling Classic 50 music stands in a special Summer promotion. Quantity discount breaks allow purchase prices as low as £38.56 when purchased in quantities of 50 or more. Schools and colleges looking to equip with new music stands designed for robust and regular handling can take advantage of this great offer throughout the month. Full details of the June offer can be found on the Black Cat Music web site.